We are overjoyed to bring you our discussions on the only two part episode of Star Trek: The Original Series – The Menagerie. Series 2 of Star Trek Discovery, featuring Captain Pike, Number One and Spock, is about to get underway. So what better time to go back to where it started with and celebrate this triumph over this masterful episode that arguably saved the franchise from cancellation. Listen out for what could have been for one of the best call backs in the history of Star Trek plus some more Albert Whitlock chat. 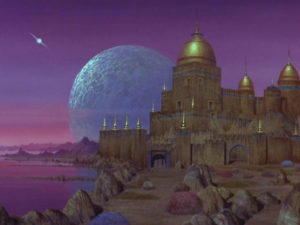 The website that Terry refers to about the remastered matte paintings is here.